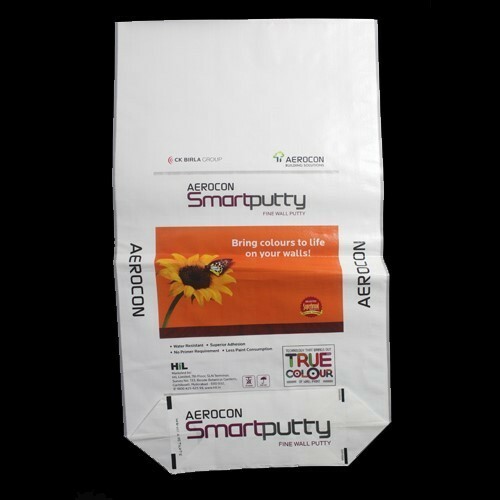 Our company holds vast experience in this domain and is involved in offering Open Mouth Bag. Established in the year 2008 at Mumbai, Maharashtra, we “Matoshree Polyplast” are Sole Proprietorship based firm, involved as the manufacturer of HDPE / PP / Bopp Laminated Printed Bag, Multiwall Paper Bag, Kraft paper Laminated Bag, Ad star Block bottom pasted bag, laminated printed pouch and more. Offered products are used to pack numerous types of material and products of different industries. These products are manufactured with utmost precision using best grade raw material which we sourced from the most authentic vendors in the market. Along with this, we are focused towards the maintenance of quality in whole assortment and therefore adopted strict policies and measures suggested by the industry. Apart from this, our ethical policies, reliable dealings and timely assurance of the fulfillment of orders have also assisted us positioning an enviable niche in the industry.